Digitally supported work… means your time is well-invested. 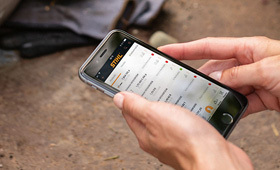 Many tasks can run entirely automatically with smart solutions from STIHL. Mobile apps and proven engineering have been perfectly combined to offer everything tech-savvy users could want, from resource-efficient garden maintenance to professional fleet management.